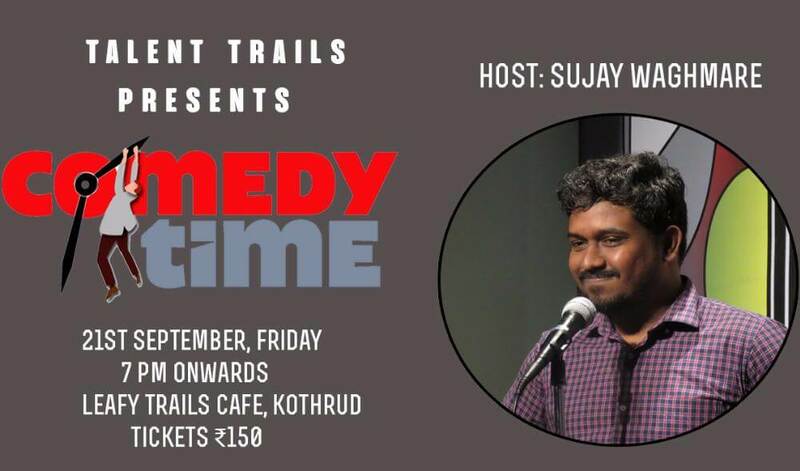 Talent Trails presents, Comedy Time is a Stand-Up Comedy Open Mic show where some seasoned and some new comics try out brand new material. Host of the evening is Sujay Waghmare, a Stand-Up Comic from Pune who has been a regular performer in the Pune Comedy scene. Sujay has also performed at Stand Up Comedy shows organized by BHADIPA, alongside several well known comics. Come join us on 21st September, Friday 7 PM onwards at Leafy Trails Café, Kothrud to watch a hilarious lineup of Stand-Up Comics bring their own perspective on life and other things. Limited tickets available.